Free Shipping on All Orders! Including all Health and Wellness Products! Coupon Code: FREESHIP! Save 10% Off Entire Order with Discount Code: LIVEPAINFREE! Take 15% Off Your Total Order When You Spend $200 or More with Coupon Code: LIVEPAINFREE15! Save 65% Off of DIGIOPTIX 1080P HD 16G Motus Smart Glasses with Coupon Code: Digi65! Save 65% Off of DIGIOPTIX 1080P HD 32G Motus Smart Glasses with Coupon Code: Digi65! Save 65% Off of DIGIOPTIX 1080P HD 8G Motus Smart Glasses with Coupon Code: Digi65! $210 Off of Erisonic Facial Cleansing and Massage System Baby Blue with Coupon Code: Erisonic210! $210 Off of Erisonic Facial Cleansing and Massage System Baby Black with Coupon Code: Erisonic210! $210 Off of Erisonic Facial Cleansing and Massage System Baby Green with Coupon Code: Erisonic210! $210 Off of Erisonic Facial Cleansing and Massage System Baby Lavendar with Coupon Code: Erisonic210! $210 Off of Erisonic Facial Cleansing and Massage System Baby Mango with Coupon Code: Erisonic210! $210 Off of Erisonic Facial Cleansing and Massage System Baby Pink with Coupon Code: Erisonic210! $210 Off of Erisonic Facial Cleansing and Massage System Baby Purple with Coupon Code: Erisonic210! $210 Off of Erisonic Facial Cleansing and Massage System Baby Red with Coupon Code: Erisonic210! $210 Off of Erisonic Facial Cleansing and Massage System Baby Tan with Coupon Code: Erisonic210! Get $210 Off of Erisonic Facial Cleansing and Massage System Baby White with Coupon Code: Erisonic210! 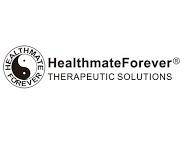 Like HealthmateForever on Facebook and Receive 10% Off with Coupon Code: HealthmateLike10! Save 10% Off Body Massagers with Coupon Code: HMRELAX! Save 10% Off Remote Controlled Massage Pillow with Heat with Coupon Code: HMRELAX! Save 10% Off Head Massager with Coupon Code: HMRELAX! Save 10% Off Dual Node Percussive Massager with Coupon Code: HMRELAX! Save 10% Off Remote Controlled Neck Shoulder and Back Massager with Heat with Coupon Code: HMRELAX! Save 10% Off Vibrating Massage and Heating Shoes with Coupon Code: HMRELAX! Save 10% Off Pressure Activated Massage Pillow with Coupon Code: HMRELAX! Save 10% Off Eye Care Massager with Coupon Code: HMRELAX! Save 5% Off of HealthmateForever Accesories with Coupon Code: HM5A! Save 5% Off of Snap-on Pads with Coupon Code: HM5A! Save 5% Off of Pin-Insert Pads with Coupon Code: HM5A! Save 5% Off of Hot and Cold Pads with Coupon Code: HM5A! Save 5% Off of Repalcement Wires/Chargers with Coupon Code: HM5A! Save 5% Off of Device Pouch with Belt Clip with Coupon Code: HM5A! Save 5% Off of Brace/Support Wrap with Coupon Code: HM5A! Save 10% Off of Tens Unit with Coupon Code: LIVEPAINFREE! Save 10% Off of T40AB with Coupon Code: LIVEPAINFREE! Save 10% Off of T12AB2 with Coupon Code: LIVEPAINFREE! Save 10% Off of T24AB with Coupon Code: LIVEPAINFREE! Save 10% Off of T12AB with Coupon Code: LIVEPAINFREE! Save 10% Off of T24AB2 with Coupon Code: LIVEPAINFREE! Save 10% Off of BM6GL with Coupon Code: LIVEPAINFREE! Save 10% Off of BM6ML with Coupon Code: LIVEPAINFREE! Save 10% Off of YK15AB with Coupon Code: LIVEPAINFREE! Save 10% Off of HM10AB with Coupon Code: LIVEPAINFREE! Save 10% Off of HM10GL with Coupon Code: LIVEPAINFREE!